Ron Evans' books, media appearances, speaking engagements, etc. The New Social Studies refers to a flurry of academic and commercial activity during the 1960s and 1970s that resulted in the mass development and dissemination of revolutionary classroom materials and teacher resources. In science as well as social studies, a spirit of “inquiry-based teaching” filled the air during this time, resulting in the development of curricula that were both pedagogically innovative and intellectually rigorous. Constructivism and the New Social Studies contains a collection of classic lessons from some of the most successful projects of the era, providing a resource of exceptional ideas and materials that have stood the test of time. These revealing artifacts are presented with commentaries from some of the original directors of major projects, including Edwin Fenton, Barry Beyer, and Suzanne Helburn. In addition to American and World History, groundbreaking lessons are represented in Economics, Government, Sociology, and Geography, including the Public Issues Series (Fred Newmann), The Amherst History Project (Richard Brown and Geoffrey Scheurman) and Teaching American History: The Quest for Relevancy (Allan Kownslar, Gerald Ponder, and Geneva Gay), and Man: A Course of Study (Peter Dow). With a Foreword by Jerome Bruner, the volume not only provides a resource of exceptional curriculum ideas and actual materials, it also builds a lucid bridge between the theoretical ideas of constructivism and the pedagogical principles of inquiry learning. As the issue of school reform grows ever more intense, it is imperative that we learn what we can from previous efforts. 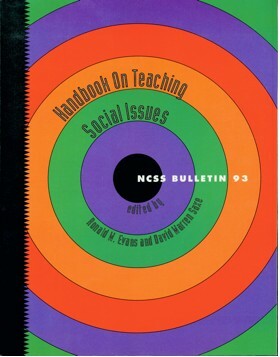 The new social studies was a 1960s attempt to transform the teaching of history and the social sciences in schools. With origins in the Cold War, the movement sought to develop critical thinkers through “inquiry” and “discovery.” Though it led to a veritable treasure trove of innovative materials, the “revolution” envisioned by its proponents never materialized. Engagingly written and drawing on previously untapped archival sources, The Hope for American School Reform offers an insightful perspective on current trends. Two persistent dilemmas haunt school reform: curriculum politics and classroom constancy. Both undermined the 1960s’ new social studies, a dynamic reform movement centered on inquiry, issues, and social activism. Dramatic academic freedom controversies ended reform and led to a conservative restoration. On one side were teachers and curriculum developers; on the other, conservative activists determined to undo the revolutions of the 1960s. The episode brought a return to traditional history, a turn away from questioning, and the re-imposition of authority. Engagingly written and thoroughly researched, The Tragedy of American School Reform offers a provocative perspective on schooling. There’s no book like this one for educators interested in issues-centered teaching. More than 40 experts have contributed articles offering comprehensive coverage of the field of social issues education. In addition to a full examination of objectives and methods, contributors show how social issues can be taught as part of history, geography, the social sciences, and global and environmental studies. The challenges of assessment, curriculum, and effective teacher education are fully explored. With its teaching ideas and useful resource section, this book is an indispensable addition to your library! Contributors include: Shirley Engle, Anna Ochoa-Becker, Jack Nelson, Carole Hahn, Byron Massialas, Jeff Passe, Jesus Garcia, Gloria Ladson-Billings, Merry Merryfield, Patricia Avery, Sam Totten, Bill Wraga, Walter Parker, James Shaver, and many more.